Newly promoted side to the Ghana Premier League, Dreams FC has signed a two-year partnership with Kwese Sports. 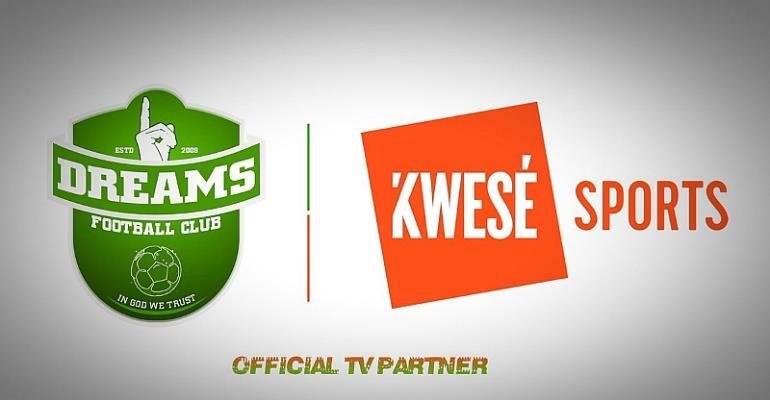 Kwese Sports becomes the official television partner for the Dawu based club ahead of the new season. Dreams already have Mybet, Spocs, Ezzy Paints, EWML and Mamba Energy Drinks as their official sponsors.